We don’t like to toot our own horn, so we let our clients speak for us. I greatly appreciate your ongoing care for my precious Teddy-Bear and Grizzly-Bear. They adore you and your care for them gives me great peace-of-mind. And thank you for all the other things you do to help. Have a wonderful day! I think you and your company is the best thing since sliced bread. . . Thanks for your rush to Hercules’ rescue and your flexibility with the simultaneous family emergencies. Hercy was very happy to have your company, and you gave me a peace in my heart so I could tend to my critically ill grandparent. Bless you all! Thank you again for meeting me on Sunday to bring me your copy of my key. I haven’t locked myself out of my house since the first day I began moving things into here. My mind was just not focused on some of the details. So thank you, thank you again! I am very impressed with your service. I have not encountered your level of professionalism with sitting services in the past. She did a wonderful job. I’ll be calling you for my next out of town trip. Thanks again. Thank you so much! I just got home. What a joy to know they were so well taken care of. The daily notes were great! Love the term “sink drinks” for Kovu. He is crazy about running water. They are so happy and I can tell loved. I have never come back from a trip with them in such good spirits! 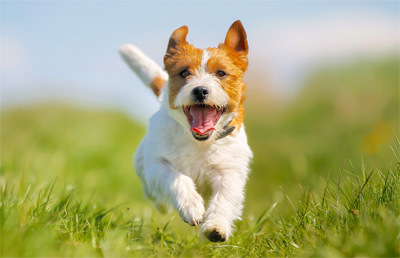 I am definitely recommending your services to all I know with pets! I just wanted to let you know how very much I appreciated your taking such good care of my birds for me! They look so happy and healthy and probably didn’t miss me one bit! You have given me such peace of mind! I just wanted to thank you again for doing such a great job for us. All the birdies and the kitties were so happy and relaxed when we got home. We can always tell how well you’ve cared for them because when we make it back they’re never acting like they thought their lives were over for good! It’s a little ego deflating to know how well they manage without me but I”m really glad they do! I just wanted to thank you for the tremendous care you have provided for the past years. Mickey has been a trusted and saving grace through all sorts of “unexpected” events while we were out of town. The level of service provided is outstanding! Thank you so much for your detailed notes of the days events. Your notes are so sweet and detailed I feel as if I was almost there seeing it all! Recently I got an emergency call to go to be at my father’s bedside in Kansas City. It was sudden, unexpected and traumatic. I cannot tell you how knowing Scout and Zooey were taken care of made a horrible situation just a tiny bit more bearable. Thanks so much!! I have to say April exceeded my expectations! She does a much better job of caring for Sissy than my dad and brothers do! Sissy was great when we got back, healthy and calm and she probably misses April now! Thank you again and I will be more than happy to recommend your service, and of course April to anyone who may be looking! If you want more clients in our area, post an ad in the neighborhood newsletter. You could expand your excellent service here! My sitters are excellent! I feel good leaving Willie with them!! They went the “extra mile” to make Willie happy. Thank you! Awesome job- my animals were so happy! Thank you!! Thank you for such dedication to Bourbon and Me! Excellent and reliable service. My dogs love you guys! I love your service. I never worry about anything! Looking forward to a long relationship! I ‘m glad to have found you and know my dogs feel the same way. You provide a valuable service- keep up the great work! I love the Peace of Mind Guardian gives me! This review is a little late, but we are so grateful to have your service! 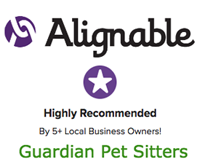 Guardian Pet Sitters are excellent- we can leave our pets knowing they’re in good hands. Thank you! We feel so comfortable leaving home with you! My sitters are awesome! So glad I have GPS! All folks at Guardian have been excellent! I love Lisa’s notes- it is obvious she plays and interacts with kitties. I don’t worry. Absolutely wonderful 100% of the time!! Best pet care- hands down! Thank you for your constant dedication and the love you show to my pets! Thank you April! The boys were still tired when I got home, YEAH!! Very helpful with “food consulting” for jumbo cat!! Thank you! The peace of mind y’all give us when we travel is priceless!! I want to thank you for referring me to Suzanne. We talked earlier today and she seems very nice and made me feel very comfortable about the change. I also want to thank you for all the wonderful service you have given me and my cats over the years. I always had a level of comfort when they were in your care. And the trust I had in all of you is priceless. If i ever move back to your area I will be calling. Thanks again. Not convinced? Call the us at 972-625-5272. We are always willing to provide more references.